Taxes for seniors and retirees should be straightforward and simple. Yet, tax issues come up later in life and you need to be aware of them. 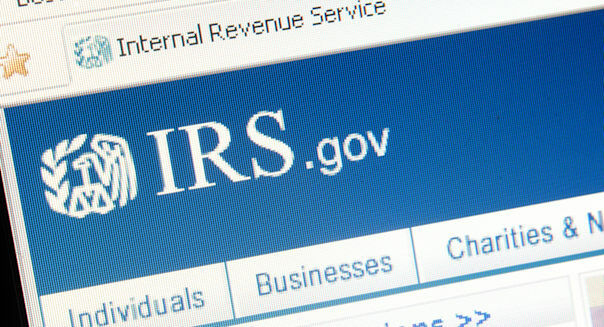 The much-maligned Internal Revenue Service has some excellent resources for seniors and retirees, whether you complete your own taxes or delegate that task to someone else. 1. Visit 1040 Central -- Your first stop for tax preparation. Find out if you need to prepare a return. Not everyone is required to file a tax return. You can even receive the Premium Tax Credit under the Affordable Care Act without filing a return. For everything you need to know about taxes and the Affordable Care Act, visit the IRS' ACA page. It is quite simple to determine whether you need to file a return or not. Answer a string of questions on the "Do You Need to File a Federal Income Tax Return?" page and find out if you can avoid filing a return. Of course if you believe you are owed a refund, definitely fill out a tax return! 1040 Central answers all your basic tax questions, in one place. The site gives you solutions to choosing a tax preparer, explains how the Medicare tax may affect you, provides information about the itemized deduction for medical expenses and lets you know whether you qualify for certain credits and deductions. Can't get enough information at 1040 Central? You'll find links for a taxpayer advocate service for those experiencing economic harm, international taxpayers, military and the self-employed, to name a few. 2. Beware of tax scams. Anyone who has seen this year's Oscar-nominated movie, "Nebraska," has an inside look at how vulnerable seniors can be to scams and fraud. In the movie, Woody Grant, played by Bruce Dern, receives the typical Publisher's Clearing House form letter suggesting he might have won $1 million. %VIRTUAL-article-sponsoredlinks%Ignoring the fine print and believing he definitely won the million dollars, he is found walking from his home in Billings, Mont., to the sweepstakes home office in Lincoln, Neb. After convincing his son to drive him there, Grant arrives at the sweepstakes office only to find out that his letter was actually a mail scam enticing participants to buy magazine subscriptions. He left with a baseball cap and nothing else. Grant fared better than many scammed seniors. He lost some time and pride, but only a few dollars for the hotel and food expenses for their multistate adventure. Many seniors and retirees aren't that lucky. To avoid tax scams, follow the time-honored maxim, "If it sounds too good to be true, it probably is." Also, do not believe that the IRS is going to ask you to send them money immediately over the phone with a wire transfer or credit card. Some seniors may feel lonely and welcome telephone calls, even from strangers. Unscrupulous business people abuse this loneliness and trust by informing the victims that they owe money to the IRS and must repay the money promptly through a wire transfer or preloaded debit card. If the victim refuses, they are threatened with arrest, deportation, or suspension of a driver's license. The IRS doesn't do business this way. Normally, contact from the IRS comes in the form of a letter. To avoid scams, never give out your Social Security number, credit card number or personal information to anyone who calls you on the phone. To help avoid and understand these types of scams, the IRS has a YouTube video and information page called, "IRS Warns of Pervasive Telephone Scam." 3. Free tax prep is available. The IRS Volunteer Income Tax Assistance and Tax Counseling for the Elderly programs offer free tax help for those taxpayers who qualify. If you make less than $52,000, VITA volunteers will help prepare and file your taxes for free. TCE offers free tax help for those older than 60. They specialize in questions about pensions and retirement. I served as a VITA volunteer for several years and the training and certification was extensive. The only downside for the participant is there may be a bit of a wait to get help. If you don't want to prepare your taxes yourself and meet the qualifications, these free IRS sponsored tax return preparation and assistance programs are great. 4. More free tax information for seniors. The resources page, "Products for Older Americans," provides links to an abundance of pamphlets and information. The links include access to brochures on such varied topics as Individual Retirement Accounts and Arrangements, pension and annuity income, credit for the elderly or disabled and a tax guide for seniors. If you are not a member of AARP, the excellent resource for seniors over 50, the Products for Older Americans site links you directly to their website. Your tax dollars are funding helpful and informative tax resources just for seniors. We sometimes forget that along with all the bad press and governmental squabbling, they are working for you. The government is stepping up and filling their duty to seniors with this tax guidance information webpage. 5. Hints for combating typical tax errors. If you prepare your own taxes, this is a must read. In the "Tips for Seniors in Preparing their Taxes" section, there is advice on figuring out how much of your Social Security benefits are taxable. Credits for the elderly or disabled are explained with direction to determine if you're eligible for the "free" money. Credits are a great way to keep your tax bill to a minimum. Make sure, with the help of the IRS, that you get all the credits for which you are qualified. No one wants to pay more than their due to the IRS. And one of the advantages of getting older, in addition to those senior discounts at Denny's (DENN), are the breaks on taxes. Become educated so that you can pay the lowest amount of tax, allowed by law. The IRS really does want to make the tax filling process easier. Use these free resources to your advantage and keep your tax bill as low as possible. For the best chance of maintaining your lifestyle in retirement, aim to contribute 15% of your salary, including any employer match, to your 401(k) or other savings account throughout your career (see What's Your Retirement Number?). Most people fall short of that benchmark. The average employee contribution to a 401(k) is 6% to 8%. Saving 15% may seem like lifting weights at the gym for several hours. Try it anyway, says Stuart Ritter, a financial planner and vice-president of T. Rowe Price Investment Services. "Kick your contribution level up to 15% for three months. At the end of the three months, you can lower it, if necessary." But rather than dipping back to single digits, go with 10% or 12%, he says. "People find they can settle on a much higher amount than they were contributing before." Procrastination is another risk: With each year you neglect to save, you lose an opportunity to fuel your accounts and to let compounding keep the momentum going. So powerful is the effect of saving early that you could have less trouble catching up if you take a several-year break-say, to pay for college-than if you wait until midlife to start. At that point, says George Middleton, a financial adviser in Vancouver, Wash., "the amount of money you have to put away can be ungodly." For some investors, a bad case of the jitters became a bigger derailer than the recession itself (see How to Learn to Love [Stocks] Again). "People got very nervous and became more conservative, so when the market came back up, they had less of their port­folio participating in the rally," says Suzanna de Baca, vice-president of wealth strategies at Ameriprise Financial. You can get back in (and stay in) by investing in stocks or stock mutual funds in set amounts on a regular basis. Using this strategy, known as dollar-cost averaging, you automatically buy more shares at lower prices and fewer shares at higher prices-an antidote to market-driven decisions. Once you decide on your mix of investments, use automatic rebalancing to keep it that way, advises Debbie Grose, of Lighthouse Financial Planning, in Folsom, Cal. Most financial planners recommend that your portfolio be at least 80% in stocks in your twenties, gradually shifting to, say, 50% stocks and 50% fixed-income investments as you approach retirement. But formulas don't cure panic attacks. "Set your risk at the level you're willing to withstand in a downturn," says Middleton. Don't wait until your kid is 17 to discuss how much you'll contribute. Have a conversation early about how much you can afford to give, says Fred Amrein, a registered financial adviser in Wynnewood, Pa.